This January we managed to have a few days on the Cote d’Azur , escaping quite lot of snow and disruption tin the UK. Although even there we had some rain, we also had beautiful sunshine and some welcome warmth. 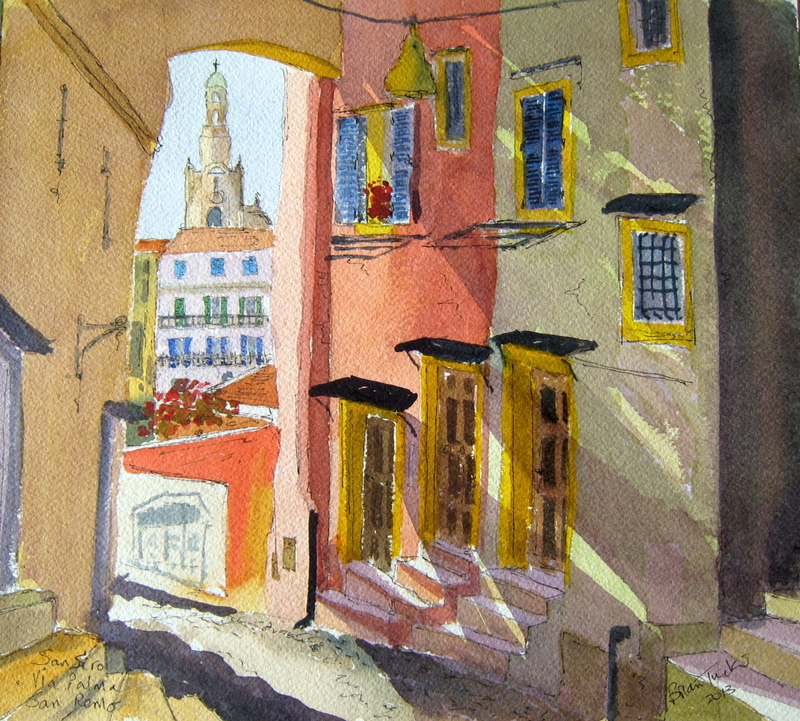 We spent one day visiting friends in San Remo and Dolce Acqua, just across the border in Italy. The old towns of both are quite amazing. 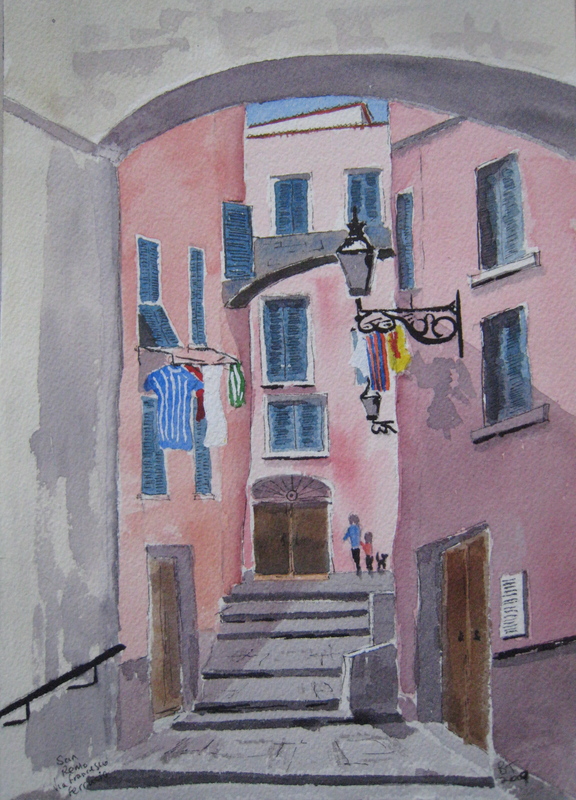 I have included here one painting from our last visit to San Remo in 2011, but the others I managed to do last weekend. 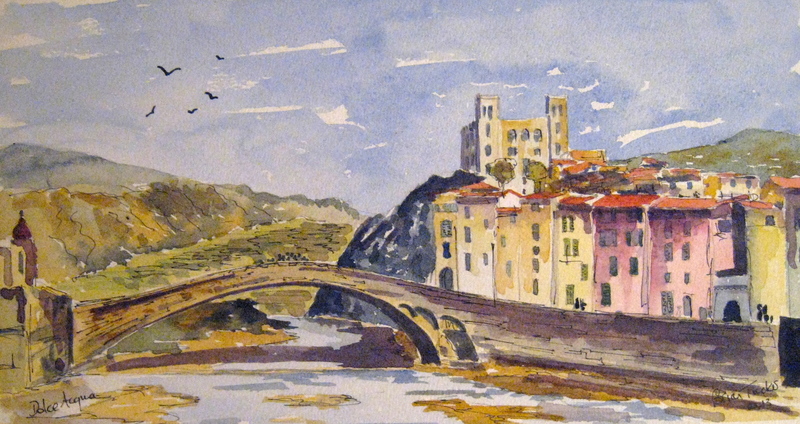 Also there is a watercolour of the view from Villefranche across to Port Passable on Cap Ferrat. 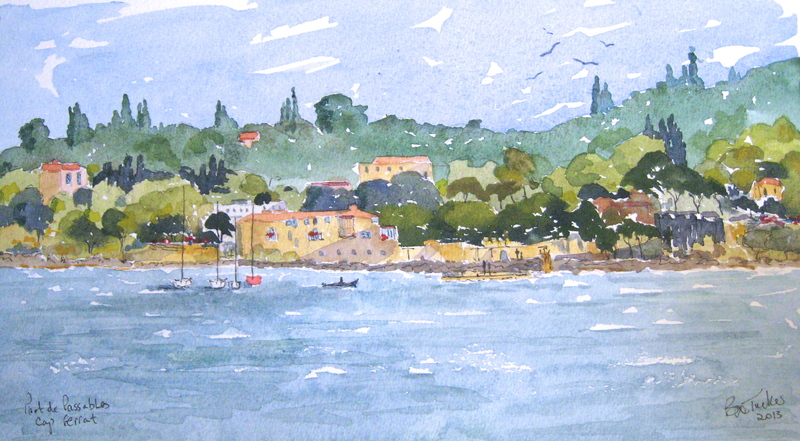 We love Villefranche where you can sit at the waters edge and enjoy both the view, and a great lunch. If you are ever there do visit the Chapelle St Pierre at the waterfront. Inside there are wonderful murals by Jean Cocteau. Back now in the UK, the snow is still here and it is a lot colder, maybe spring will arrive soon! I hope you enjoy these four paintings.